Is pizza your favorite cheat meal or pasta is your guilty pleasure? You’ll be pleased to know that Italian food has officially been named the most popular cuisine in the world. The YouGov survey examined the eating habits of more than 25,000 people in 24 countries. A total of 34 cuisines were part of the survey and the one that came out on top was Italian food. Indian food bagged the 9th spot in the survey coming in after Mexican cuisine. The sheer variety of flavors in our cuisine makes it absolutely irresistible. Italian food came top of the charts, with an average popularity score of 84% across the 24 nations surveyed. It seems that pasta and pizza are universally adored, a fact we don’t find surprising at all. Unsurprisingly, the biggest fans of Italian food were the Italians themselves, with 99% of those questioned saying they enjoyed their national cuisine (who makes up the mysterious remaining 1%, we wonder?). 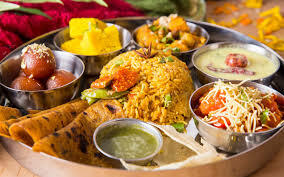 Desi food has an average popularity score of 62%. To put things in context, the Italian score is 84%. The study revealed that 93% of Indians swear by our food and so do 84% of the British and 74% of Australians. The two countries that had the lowest preference for it were Thailand and China. No surprises here given how much people adore pizza. The love for it is universal and this study just proved it. Previous articleKnow why Uri Actor Mohit Raina felt nostalgic after watching Akshay Kumar in Kesari?